Punjab Local Bodies Minister Anil Joshi today reviewed the ongoing development projects in a high level meeting. He issued instructions for timely completion of the development works so as to ensure hassle-free service duty to the citizen of Punjab. Mr. Joshi clarified that the citizen could only claim 10 per cent rebate on the filling of property tax up till December, 31, 2013 and this date would not be extended in any case. He appealed the citizens to furnish the genuine information while filling the property tax. He also instructed the officers to constitute a committee to scrutinize the information filled by the citizens. In a bid to bring about more transparency and corruption free administration, Mr. Joshi entrusted the chief engineer with the responsibility of surprise raids to check the mal-practices and under the carpet operations. 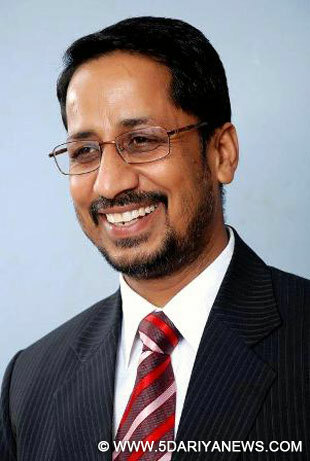 He said that earlier chief engineers could only start investigation after the receipt of complaint but now their role has been extended.Expressing serious concern over the mushrooming of illegal colonies in different parts of the state, Mr. Joshi said that the town planner concerned would be held responsible for inaction into this regard. Prominent amongst other, who were present in the meeting included; Mr. Som Parkash, CPS, Local Bodies, Mr. Ashok Gupta, Secretary, Mr. Priyank Bharti, Director, Mr. G.S. Balamurgan, Joint Managing Director, PMIDC, Mr. B.K. Tiwari, Chief Executive Officer, Punjab Water Supply and Sewerage Board and chief engineers and commissioners of Municipal Corporations.